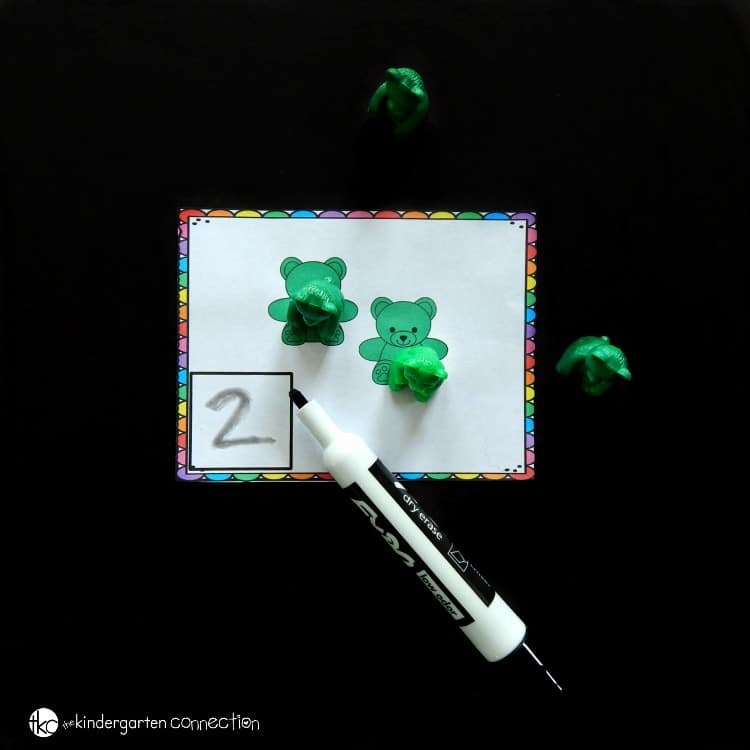 Counting bears are pretty much a staple in early childhood classrooms (we certainly love ours) and we are always looking for fun, hands-on ways to use these manipulatives in our learning. 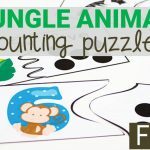 My kids love our counting bear addition cards, so I created a set to come before the addition cards – a set of counting cards that are perfect for preschool and kindergarten students learning to count sets and write their numbers to 12! I just printed out the cards (at the end of this post) and laminated them so that they could be used with dry erase markers. Then I cut them apart and added them, along with a tub of counting bears, to a math bin for use during math workshop time! 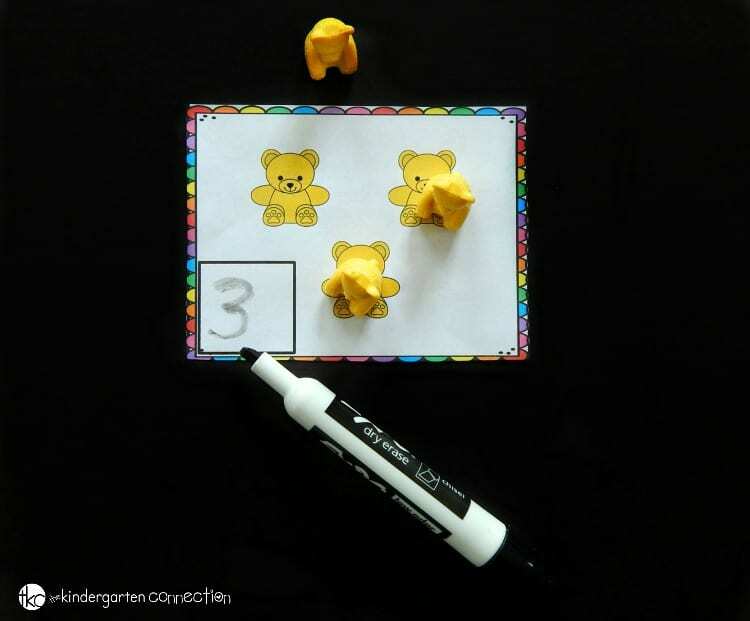 Like our addition set, kids will use dry erase markers to write the total number of bears. They count up the bears and then write the total in the box, but to work more on one-to-one correspondence with my early learners, I have them place a bear on top of each bear on the card as they count. 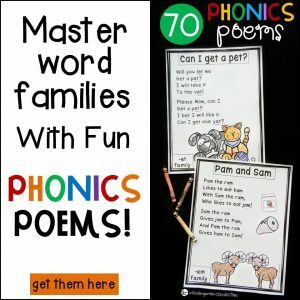 This is very helpful for students who struggle with counting one object at a time, and it makes the cards a little more hands-on. After they write the total, they can move the card aside, or erase it (we use clean kids’ socks for erasers!) and move on to another card! 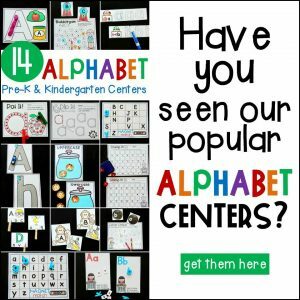 Ready to count up bears and work on number writing too? 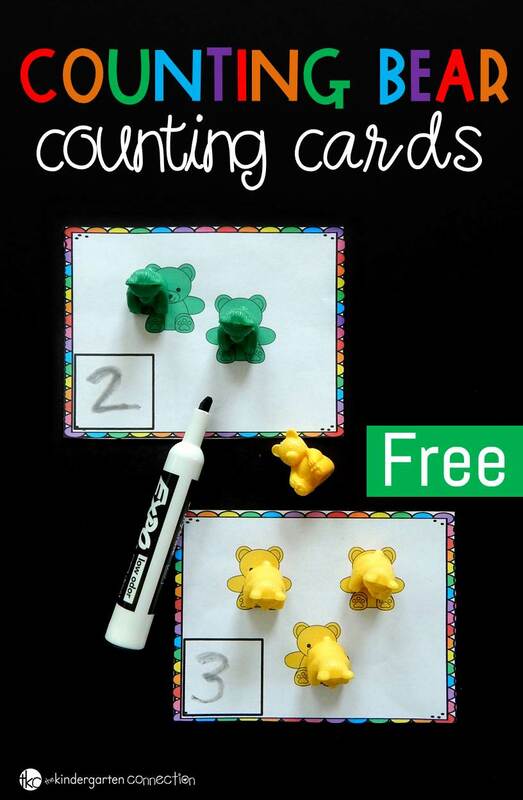 Grab your set of counting bear counting cards by clicking the yellow button at the very end of this post. 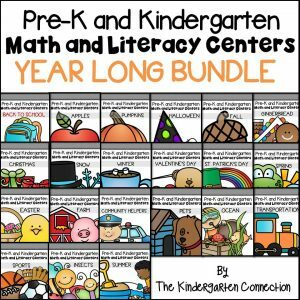 Then, for more fun with numbers and ready to go math centers, grab our roll and color dice games! Counting bears are so much fun, why not keep them around for even more awesome learning activities? 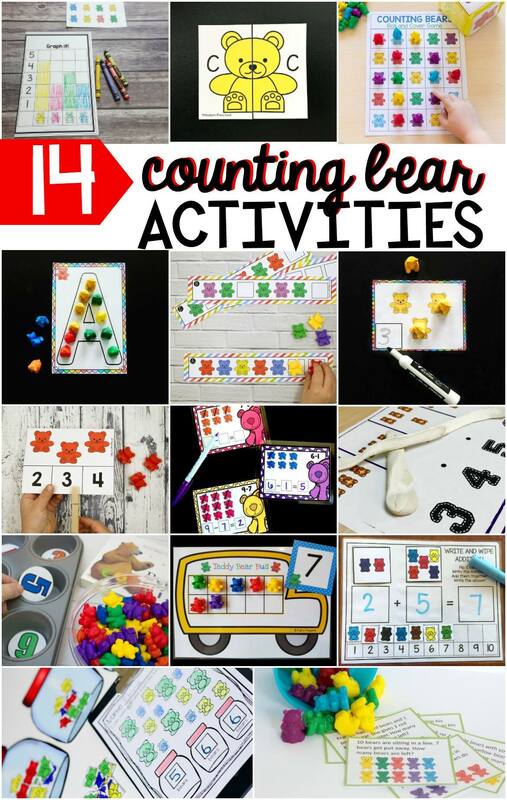 Your kids will love these counting bear activities from some of my favorite kid’s activity bloggers, so scroll on down to check them all out! Thank you so much! It is such a treat to open my email and receive a new idea from you. It is much appreciated! Thanks for making maths exciting and colourfull!! Thanks! I used to have some of these but I must have packed them and lost them! 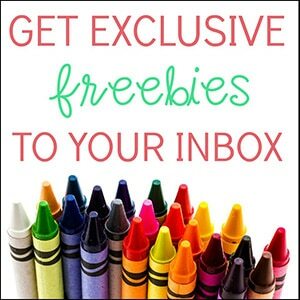 thank you so much for sharing this great activity!